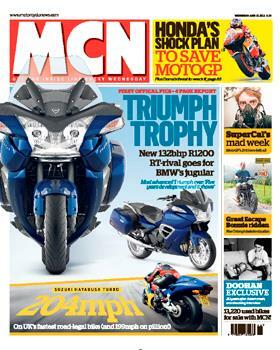 In this week's MCN, out June 27, we have all the information and official pics on the all-new Triumph Trophy 1200. 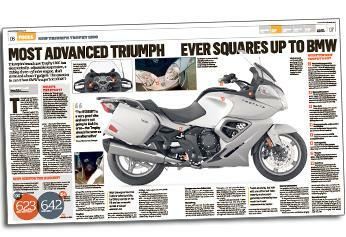 The Trophy 1200 is the most advanced Triumph ever, with electronically adjustable suspension and a 132 bhp three-cylinder engine, but can it beat the BMW R1200RT? 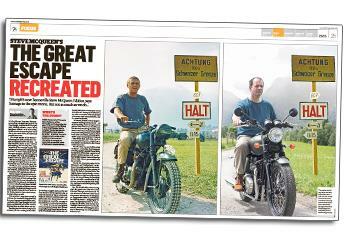 We recreate the Great Escape on the new Triumph Bonneville Steve McQueen edition and ride the UK's fastest road legal bike. Also this week we have insider information on a new water-cooled Ducati and we ride Tom Sykes' Kawasaki WSB bike. Triumph's new Trophy 1200 has electronically-adjustable suspension, a 132bhp three-cylinder engine, shaft drive and a host of gadgets. The question is: can it beat BMW's superb R1200RT? Shouldn't we all be doing 200mph by now? MCN rides the UK's fastest road-legal bike to find out just what it takes to get an ordinary man and machine to MotoGP levels of speed. 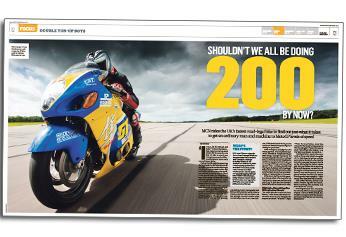 The future of speed is electric; so says TT Zero victor - and avowed petrolhead Michael Rutter. 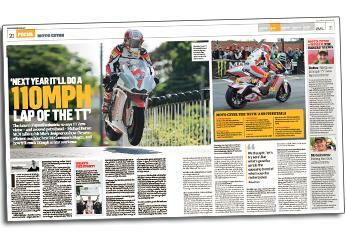 MCN talks to his bike's designer on how the aero-efficient machine beat McGuinness's Mugen, and how it'll crack 110mph at next year'srace. 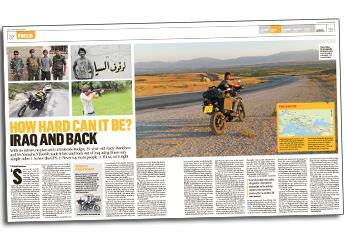 OWith no satnav, no plan and miniscule budget, 23-year-old Andy Davidson and his Yamaha XT660R made it into and back out of Iraq using three very simple rules: 1. Screw the GPS. 2. Never say no to people. 3. If lost, turn right. Saturday's Dutch TT markes the 20th anniversary of a crash that would spark the greatest comeback in racing history - a comeback that took Australian Mick Doohan from the brink of a career-ending leg amputation to five consecutive 500 world titles. GP racing is in turmoil over which direction to take the technical rules to reduce costs but retain, and grow, factory participation. 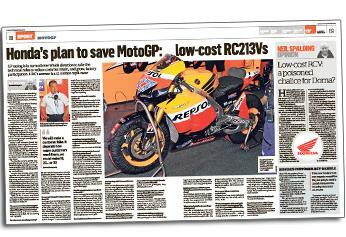 HRC's answer is a £1million repli-racer. 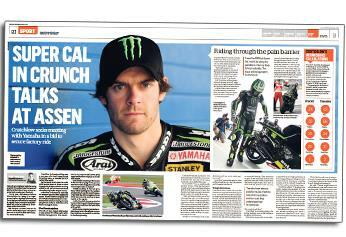 Tech 3 Yamaha rider Cal Crutchlow seeks meeting with Yamaha in a bid to secure a factory ride.